Ghostbuster Costume with Jumpsuit (50” Chest) & inflatable Backpack. Perfect for Film themes or any fancy dress occasion! This costume is ideal for larger gentlemen, fitting from up to a 50" chest. Everyone can answer the question ‘who you gonna call?’ – which is why this iconic costume is so popular and great fun for any fancy dress occasion. This official licenced costume includes Jumpsuit and inflatable Backpack – everything you need to become a Ghostbuster! The beige jumpsuit zips at the front and has a Ghostbusters logo on the arm and front, as pictured. The suit also has functional pockets which are perfect for keys, money and any other essentials! No Ghostbuster would be complete without a proton pack – and this outfit includes a brilliant inflatable backpack with loads of great detail and toy gun (which attaches with Velcro to the pack). It even comes complete with a puncture repair kit in case of emergency! Please note that there is also a standard size costume available to fit up to a 44” Chest. 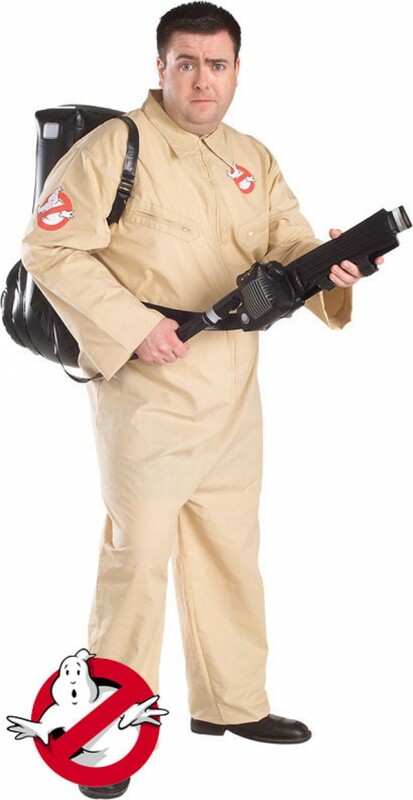 Simply search for Ghostbusters or visit our ‘Stage and Screen’ category for this costume. 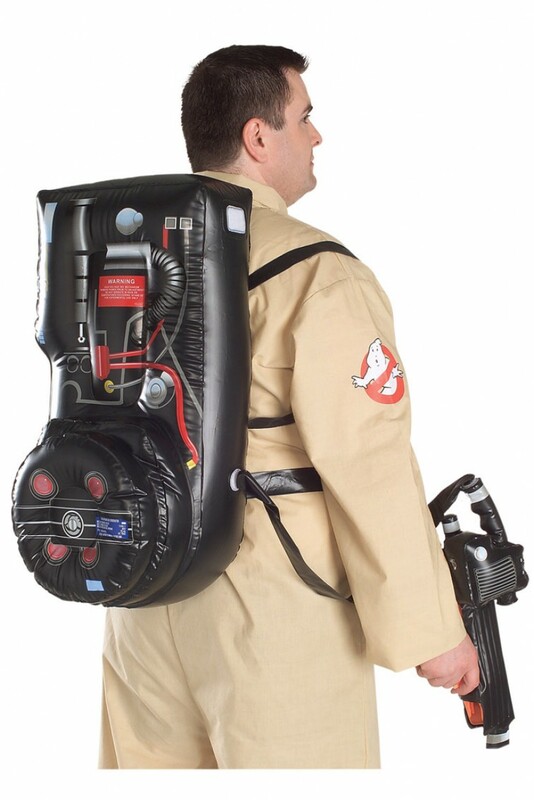 Official Ghostbuster Costume which includes Jumpsuit and inflatable Backpack.